Personal loans for individuals with bad credit can be hard to come by at times. However, there are some programs that may offer terms agreeable to you. Here are a few things to consider about negotiating the terms of a personal loan if you have bad credit. When you have bad credit, it is important for you to shop around as much as you can. 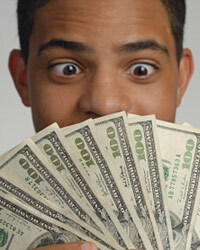 When you have good credit, you are going to have multiple lenders fighting to earn your business. When you have bad credit, it is going to be much more difficult for you to get the terms that you want. Because of this, you will need some type of leverage in your negotiations. By shopping around and working with multiple lenders, you are going to be able to get some leverage that you can use to your advantage. Get good faith estimates of the closing costs and the interest rates that they are quoting you so that you can use them when you are talking to other lenders. One of the terms that you are going to want to make sure you negotiate is the interest rate. You need to try to get the lowest interest rate that you can for your loan. When you have bad credit, it is a given that the lender is going to charge you a higher amount of interest than if you had good credit. However, this does not necessarily mean that you have to agree to an extremely high interest rate just because you have bad credit. Certain lenders still want to compete for your business, and if you negotiate with them, you can still get a reasonable interest rate. You also need to spend some time negotiating the loan structure. You need to determine whether they are offering you a fixed rate, fixed payment loan or if you are going to be dealing with some other type of loan structure. For example, sometimes when individuals have bad credit, the lender is going to try to get them to take an interest-only loan. With this type of loan, you are going to make payments on only the interest every month. Then at the end of the loan, you are going to have to make a balloon payment that covers the rest of the loan amount. While this can give you a lower payment that is more affordable, it can also hurt you in the long run. Ask your lender what the terms of the loan are and make sure that you choose terms that are favorable to you. If you do not want an interest-only loan or an adjustable-rate loan, you should not agree to one. If you focus on negotiating what you want, you are going to be able to negotiate terms that work best for you.